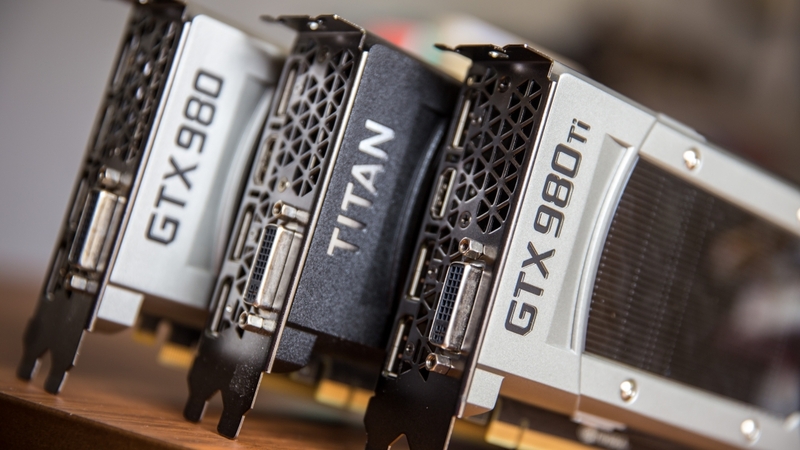 What was the last piece of PC hardware you bought? Is your computer in need of some new hardware? Do you want to get yourself a sweet gift? Well this is the weekend to get shopping, with massive discounts to be found at pretty much every major retailer. Considering the Black Friday sales currently in progress, what was the last piece of PC hardware you bought for your system? Or, if you haven't quite convinced yourself to push the 'buy' button (and yes, you should probably buy new hardware at this time of year), what are you eyeing off during the sales period? Personally I just bought myself a new Nvidia GeForce GTX 980 Ti from Gigabyte on a decent discount. Living in Australia, I don't always get access to the best deals, but thanks to a quick Newegg sale and discounted international shipping, I managed to snag one for several hundred dollars less than what it would cost locally. Let us know about your recent PC purchases below, and don't forget to keep an eye out for some sweet deals this weekend. If you catch any awesome deals, chuck them in the comments too, we're always looking for a bargain. Congrats on the 980Ti, Scorpus. Next up: Kaby Lake CPU and motherboard. 2x MSI Game GTX 980ti, 5930k w/ Asrock Professional x99 MOBO. A 2006 AMD Phenom X4 CPU to replace an ancient Sempron and meet requirements to run Win10. Ha ha, but seriously..the last thing I got was one of those dandy (and cheap) Logitech M320 mice. I've got a few of em' now. Before that it was a 2tb external WD a little over two years ago. Or maybe a Samsung 840 Pro SSD about the same time. Not sure. Personally I just bought myself a new Nvidia GeForce GTX 980 Ti from Gigabyte on a decent discount. Would that be a decent discount on top of the price cuts Nvidia have just instituted on the 900 series of cards? Just ordered a SanDisk Ultra II 480GB SSD and an ASUS Radeon R9 390 Strix OC 8GB video card. At $275 after rebate I couldn't say no to an 8GB card at that price. I'm still waiting on both to get here. Upped RAM from 8 to 16 gigs. Because those Chrome tabs are hungry. veLa, H3llion, DaveBG and 1 other person like this. I just bought a R9 290 4GB ($199) to replace my 6950 1GB. basior, veLa, H3llion and 1 other person like this. EVGA Hybrid coolers for my SLI Titan X's. Bought a R7 250 today to upgrade my htpc (6450). Less than two months ago I've bought a full PC with Gigabyte Z170X-Gaming 3, i5-6600K, R9 390, 16GB 2800MHz RAM and 500GB Samsung Evo 850 SSD. I'm aiming for a second 390 soon. Two years earlier I've got a Samsung NP530U4E ultrabook (with Radeon 8750M GPU, which has been running overclocked by 25% for over two years now) and a Nexus 4 (the worst phone I've ever used). I got an R9 290 a few months back. Runs great but my i3-4360 is a big bottleneck now. Hopefully I can upgrade with some Christmas money in the next couple months. Bought 16gig RAM upgrade from 4 gig. Well you said any PC hardware so mine was the Logitech G633 headset. Replaced my 5 year old Megalodon headset, that finally bit the dust after all the abuse it took. Really enjoyed the external processing of everything, but the headset cord was way too short and it goes to show what would happen. I'm pretty much right next to the desk. I just bought a Logitech G600 MM0 Mouse for $41 at Best Buy a few weeks ago. The white version is currently $38.99 at amazon. I am looking at prices for a either a GTX 960 or Radeon 380. Don't want to spend more than $220. If any TECHSPOT compadres see anything good, please let me know. What piece of hardware do you regret buying? What's the most expensive piece of tech you've ever bought and was it worth it? What's the worst piece of tech you've ever bought? Xmas Open Forum: What was your favorite piece of tech from 2016?